Why copywriting services in the UK are a wise investment. During times of financial uncertainty, the first department to suffer within a business is usually the advertising and promotion section as businesses look for ways to streamline their operation. It quickly becomes apparent that although downsizing the PR budget may be a good move in the short term, businesses actually need to promote themselves more vigorously during times of recession. This is where copywriting services in the UK come into their own. Copywriting services are not just a bunch of creative types playing about with words all day and drinking cappuccinos (although a good blast of caffeine does help us make it through the day.) Good copywriting experts understand not only the English language and its influence on an audience; they understand business as well. 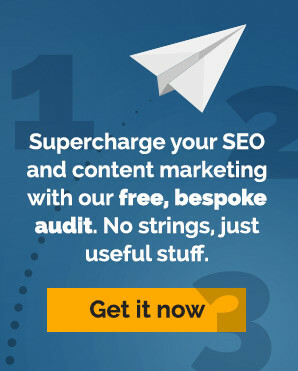 As English is still considered to be the ‘universal language’ of the internet (although Chinese is quickly becoming a powerful contender for the number one spot), copywriting services in the UK are perfectly positioned to work in partnership with businesses all over the world, particularly when the pound is so weak. Getting the message across is vital in a cut-throat marketplace. Copywriting is a multi-disciplined art form – writers have to understand not only the client’s message but also their business, their potential audience and how the ‘system’ actually works. There are hundreds (if not thousands) of copywriters in the UK, so finding the one that suits your business may be a daunting task. The best way to select a good copywriting service in the UK is to talk to other businesses who have used copywriters, look for recommendations and testimonials and remember that copywriters don’t just live in London but operate all over the country. If you’re looking for an SEO copywriter then a good indicator as to how successful they are at SEO copywriting is how high they’re placed on the search engines – after all if they’re able to get their own site into the first pages of search results they should be able to help you do the same. Location is no longer a barrier to finding the best UK copywriting services and those situated further afield may have a fresh and innovative approach to maximising a business’s potential through the power of words. Copywriters in the UK are a talented, versatile bunch with years of experience in the art of communication. Now pass me that cappuccino, would you?